Tusk Ball Slide – Tusk Direct, Inc.
Tending to be very rigid, ball screw actuators are also highly accurate and precise due to tight manufacturing tolerances as well as the lack of compressibility in the ball bearings. Highly durable, ball screw actuators can exceed lifetimes of 5,000 km if operated at low loads and speeds; higher loads and speeds lead to typical lifetimes of 3,000 km. A ball screw actuator’s speed is determined by the ball screw’s pitch. The screw lead is the screw pitch multiplied by the number of screw threads and determines the linear travel of the ball nut per rotation of the screw. Ball screw actuators with a higher screw pitch provide higher axial movement to a nut faster per a given screw rpm, while those with a lower screw lead produce greater linear thrust. Ballscrew actuators serve a multitude of industries including automotive, aerospace, medical, biotechnology, automation, material handling, semiconductor, pharmaceuticals, food, packaging, and electronics. 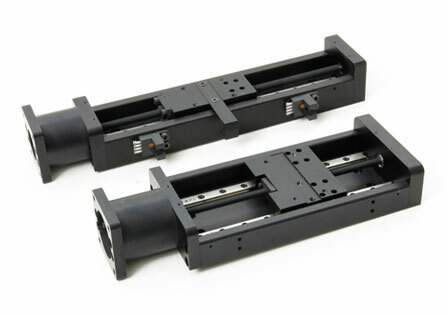 Applications that ball screw actuators are utilized in include large-scale automation processes, solar tracking, ventilation, micro-positioning, commercial satellite tracking, laser machining, and conveyor belting. Ball screw linear actuators consist of a ball screw, a train of recirculating ball bearings, a ball nut, and a cover tube or housing that attaches to the object, or load, requiring motion. The load is typically attached to the end of the ball screw and unsupported by other means. 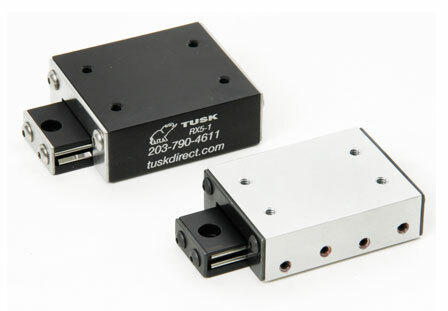 Tusk Linear Actuator – Tusk Direct, Inc. The ball bearings travel in opposed, hardened rod tracks or grooves that are cut out inside of the axially translating ball nut at a particular helix angle. The ball bearings are compressed when circulating in the track and unloaded in the return system: the circulation is caused by either an internal reversing system or a series of external return tubes. Housed in the ball nut, the ball bearings travel along a ball screw rod. The ball screw rotates in and out of a housing, which is typically constructed from stainless steel, aluminum, plastic, or steel. The rotation provides linear motion to the object and can be caused by a synchronous timing belt drive, direct drive, or worm gear drive. In addition, ball screw actuators length is determined by the critical speed of the screw. The critical speed of the screw is directly related to the screw’s diameter and is inversely proportional to the square of the unsupported screw’s length. Screws with a larger diameter at given unsupported length have higher critical screw speeds than screws with a smaller diameter at the same length. Ball Screw Actuator Ball screw actuators, also called drive screws, are linear actuators that produce mechanical linear motion by converting rotary motion into mechanical energy through the use of ball screw and ball nut combinations.